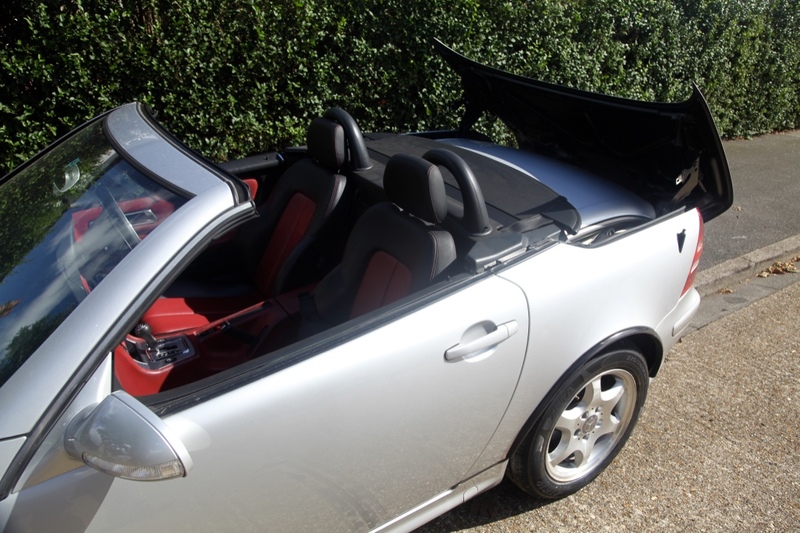 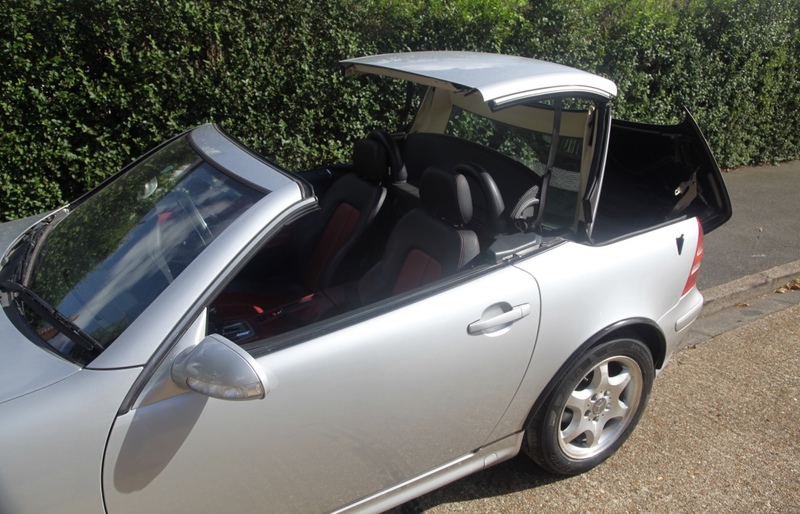 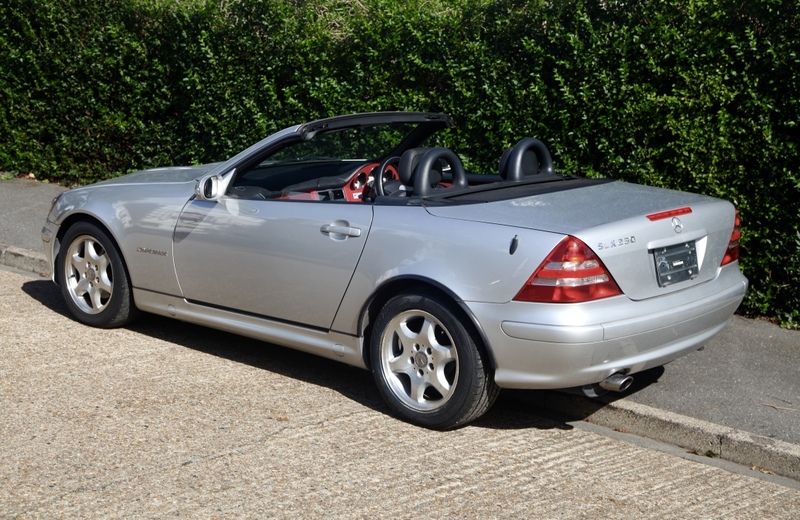 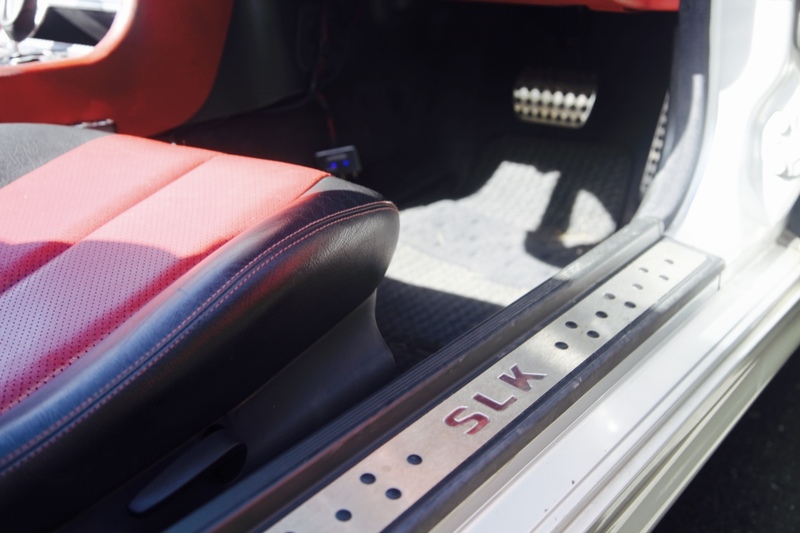 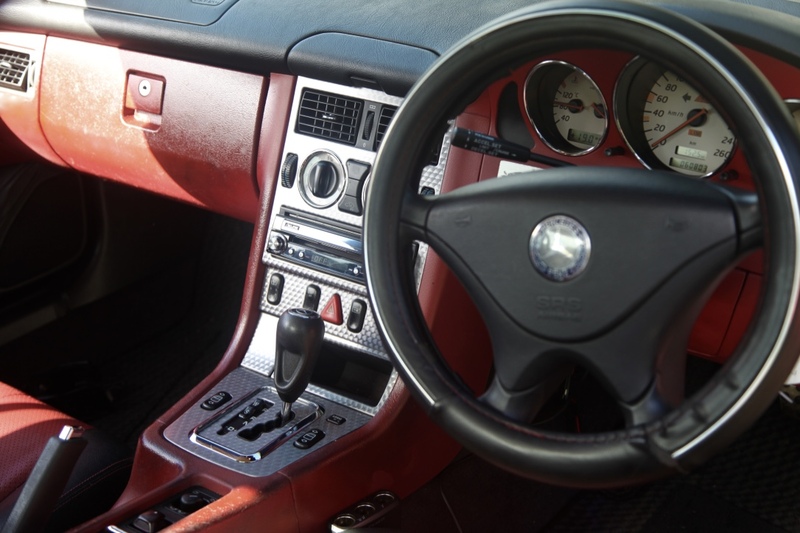 Extremely clean, rust free 2000 R170 SLK230 supercharged (193bhp), a modern day classic and with road tax of only £235 a year its the perfect car to enjoy the summer. 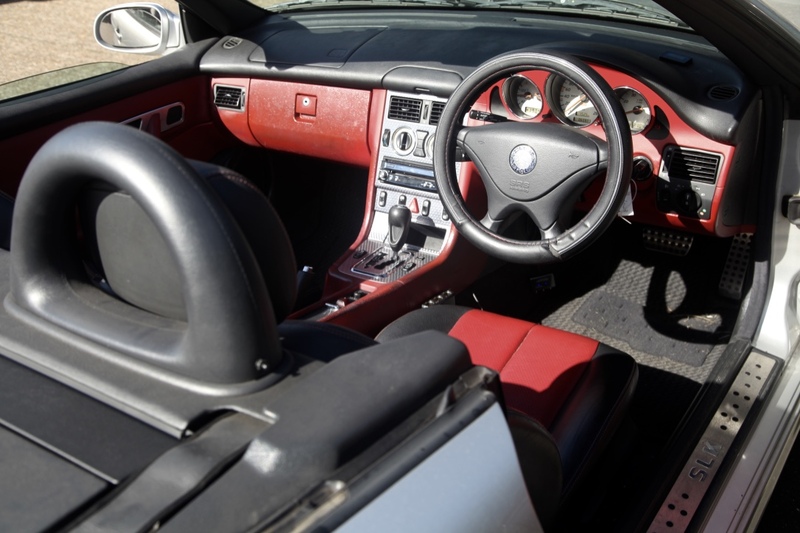 Will be coming with a brand new MOT, low low miles only 38k comes with owners manual and full service history (9 service records) with a properly functioning electric roof, desirable factory extra of two tone leather (with red double stitch detailing). 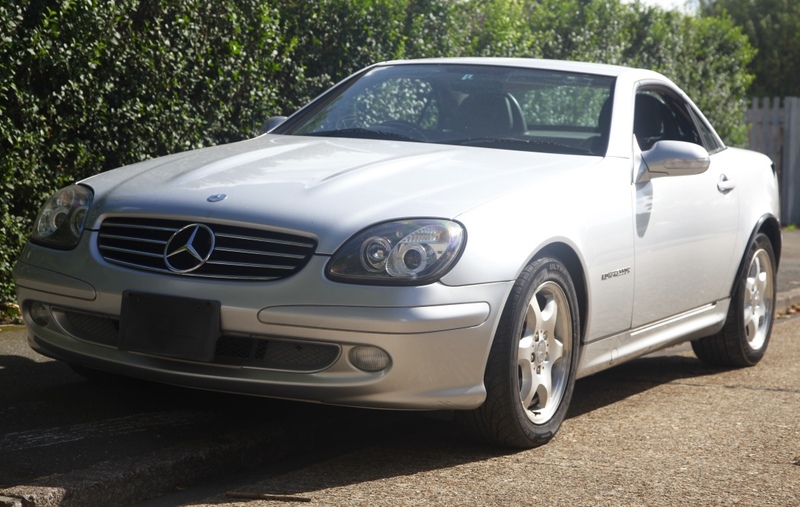 Upgraded headlights, 16" 6 spoke Mercedes alloy wheels with 4 good tyres, automatic, aircon looks wonderful in Anthracite Grey.